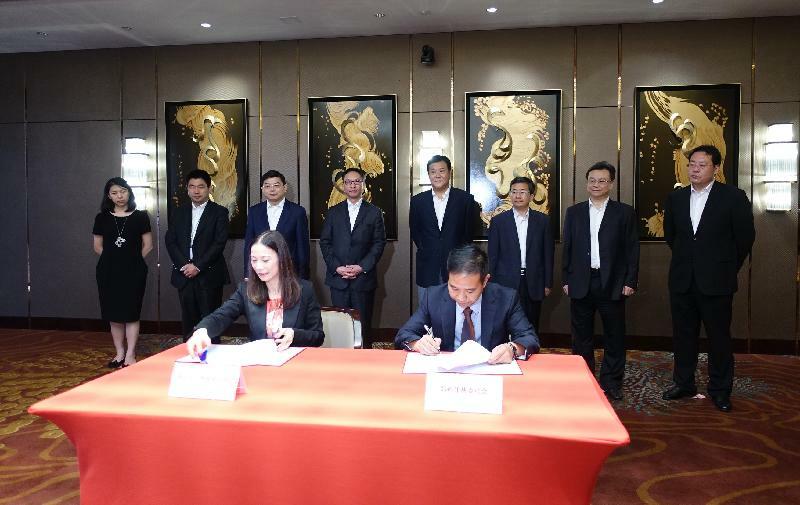 Co-operation between the legal sectors of Hong Kong and Henan not only offers opportunities for lawyers of the two places to share their experience, but also enhances the provision of international legal and dispute resolution services for enterprises in Henan so as to assist them to capitalise on the opportunities presented by the Belt and Road Initiative, the Secretary for Justice, Mr Rimsky Yuen, SC, said today (August 18). 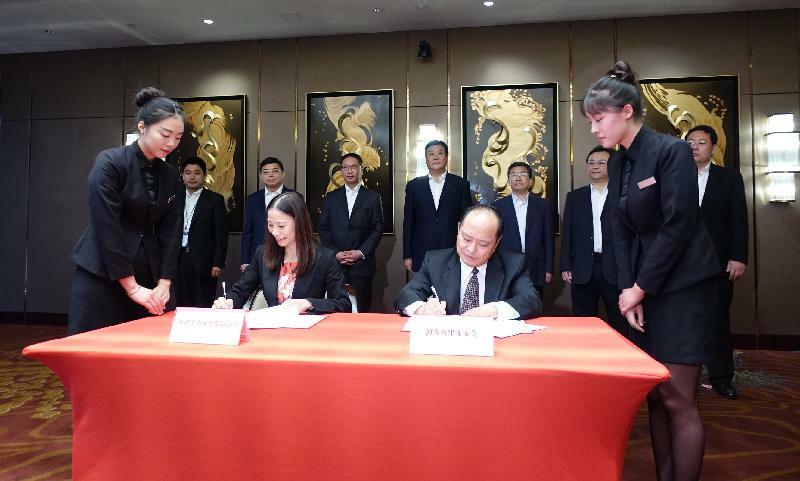 Attending the signing ceremony of Memoranda of Understanding on co-operation of lawyers and arbitrators in respect of the Belt and Road Initiative between the Small and Medium Law Firms Association of Hong Kong and the Henan Lawyers Association and the Zhengzhou Arbitration Commission in Zhengzhou, Henan Province, Mr Yuen said that the Belt and Road Initiative will drive economic development of places along the Belt and Road and generate demand for legal and dispute resolution services. 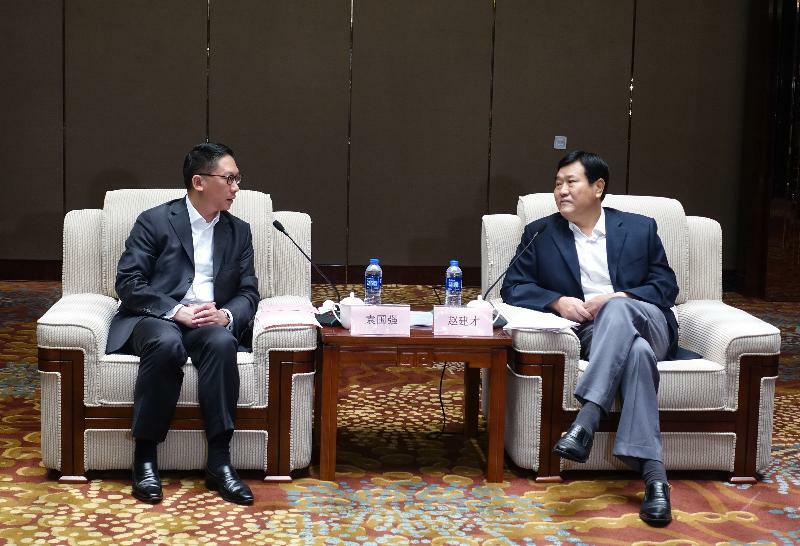 "To capitalise on the opportunities brought about by the Belt and Road Initiative, Hong Kong and Henan can further widen the scope of co-operation on top of the existing close economic partnership to achieve a win-win situation," he said. Mr Yuen pointed out that the importance of international legal and dispute resolution services is crystal clear in the process of promoting the Belt and Road Initiative. "It is inevitable that enterprises will encounter complex business regulations, as well as issues including how cross-boundary business disputes can be effectively resolved, when they conduct investment and business activities by making use of the opportunities presented by the Belt and Road Initiative. Enterprises thus need legal and other professionals to help them prepare for legal risk management," he said. Mr Yuen said that Hong Kong enjoys unique advantages presented by the "one country, two systems" principle and its common law legal system and judicial independence are well-recognised by the international community. In addition, he met with the Vice Governor of Henan Province, Mr Zhao Jiancai, to exchange views on issues of mutual interest. Mr Yuen will return to Hong Kong tonight.